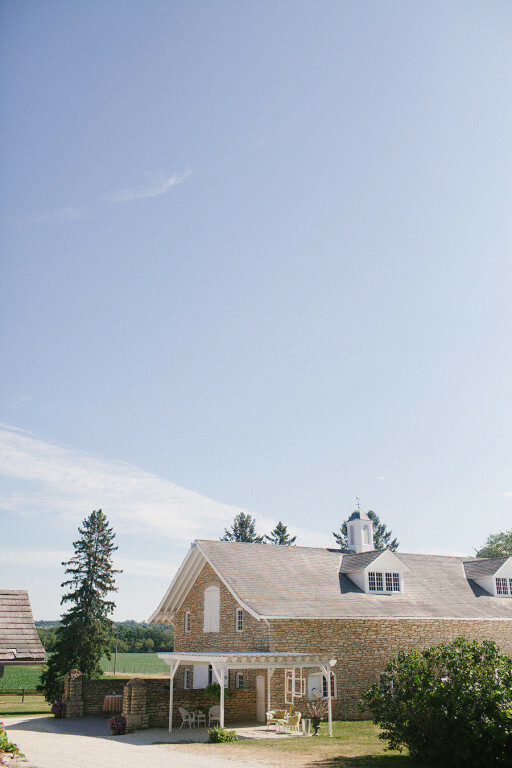 Transport your heart to an era of clean air, open space, and old-fashioned romance at the historic and lovingly restored dreamscape of rustic Minnesota. 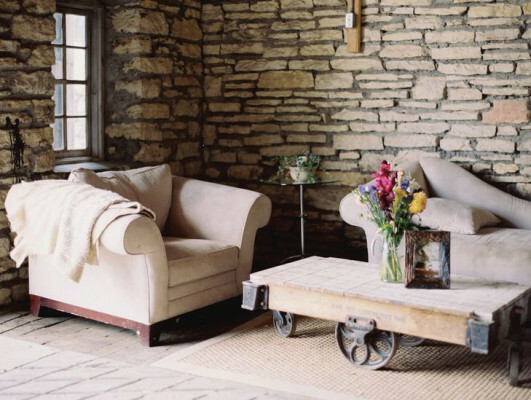 Spread out your family and friends with more than enough breathing room among the classic stone barn, cozy lit-up loft, and charmingly reworked blacksmith shop. 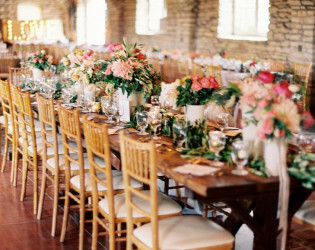 You can enjoy your special day or celebratory night, as the staff is more than happy to set up tables, chairs, and sound system, while putting you in touch with their special event caterer. You've found The One, now it is time to fall in love with the perfect venue. 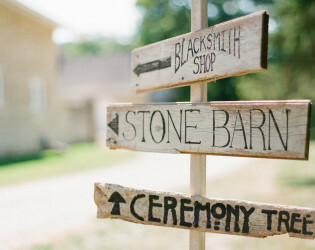 With our wedding packages, you will have exclusive access to the the property for the entire day. 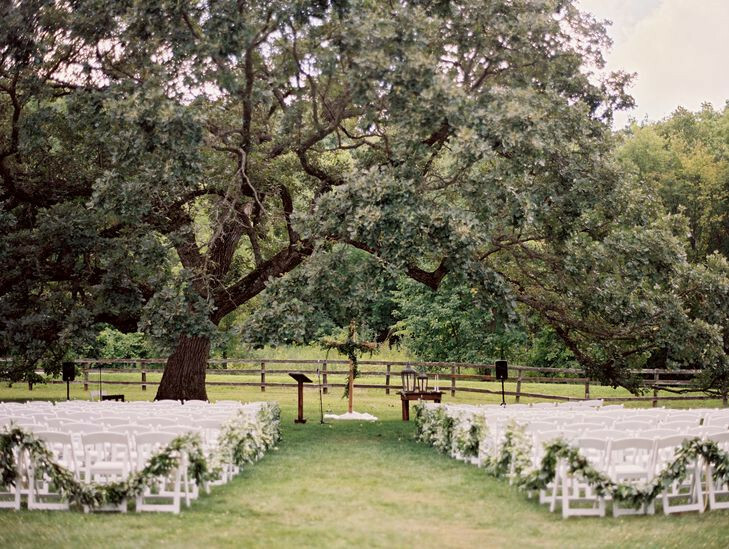 Our team will set up the ceremony chairs under the reaching arms of an old oak tree or in the stunning vaulted Loft. Tables and natural wooden Chiavari Chairs will be set up for your reception in the Carriage Way of the main barn, so decorating can begin as early as 8:00 am. 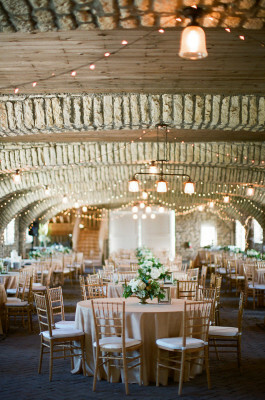 Many people will admire different things about the Mayowood Stone Barn. 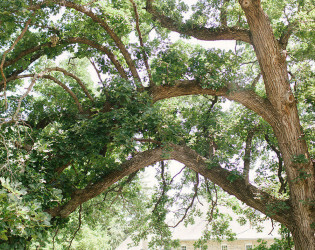 Perhaps it is the beautiful stone arches or the amazing giant bur oaks stretching over the grounds. 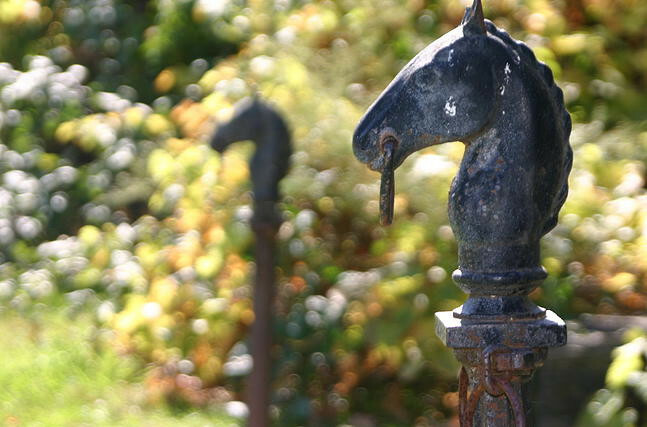 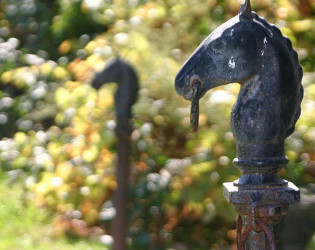 They may enjoy perusing the property, imagining Dr. Charlie Mayo and his family riding horses on the racetrack, or the crews he gave work to during the Great Depression creating the dragontooth stone walls surrounding the farm. Mostly, though, the most amazing thing about this place is the feeling of togetherness that occurs inside and out of these century-old stone walls. 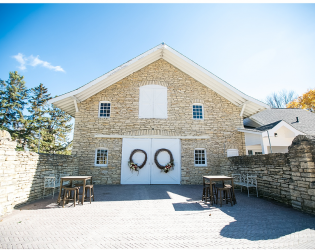 From the perspective of the people who are here day in and day out, the magic of the Mayowood Stone Barn is in its versatility. 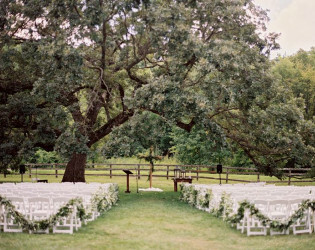 The true beauty isn't just the architecture or history, it is what happens each time a couple makes it their own. 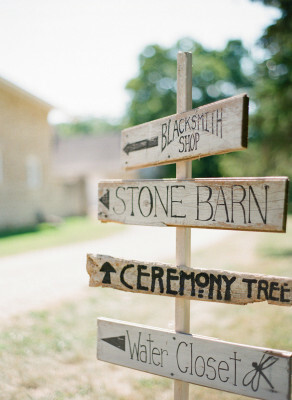 Different styles, budgets, families, hometowns, and group sizes all seem to feel at home here. We welcome the many ways they transform this space to convey the message of who they are. 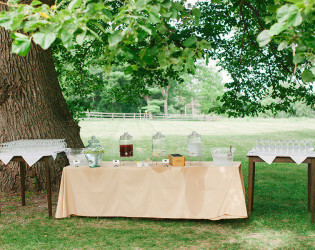 Catering must be brought in by a licensed caterer of your choice. The Bridle Room (repurposed tack room) is furnished with a living room, changing area, bathroom and kitchenette. 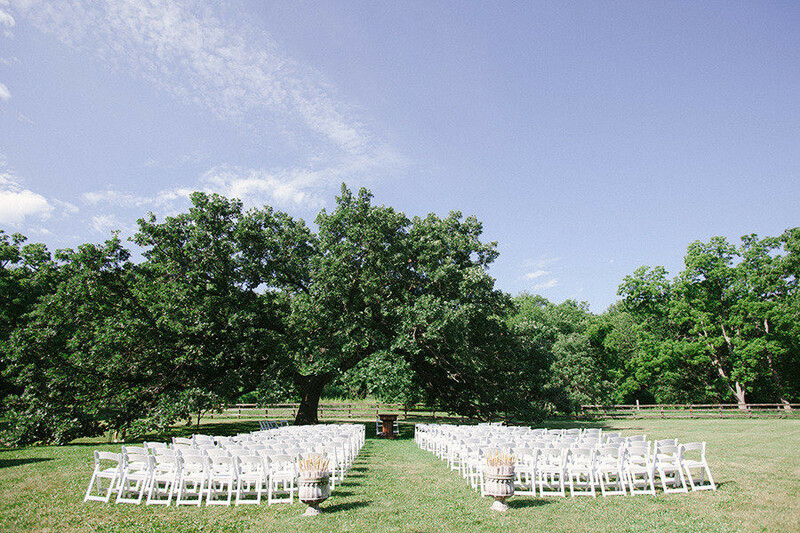 Many mirrors and plenty of space make this a great place for getting ready the morning of the wedding. 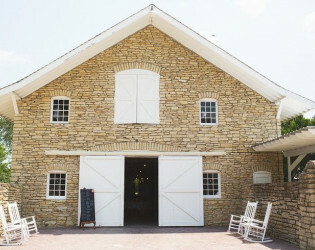 Check out the original floors in the main barn: there are stone bricks down the middle for the carriages going through and wood bricks along the sides to provide softer footing for the horses while awaiting a ride. 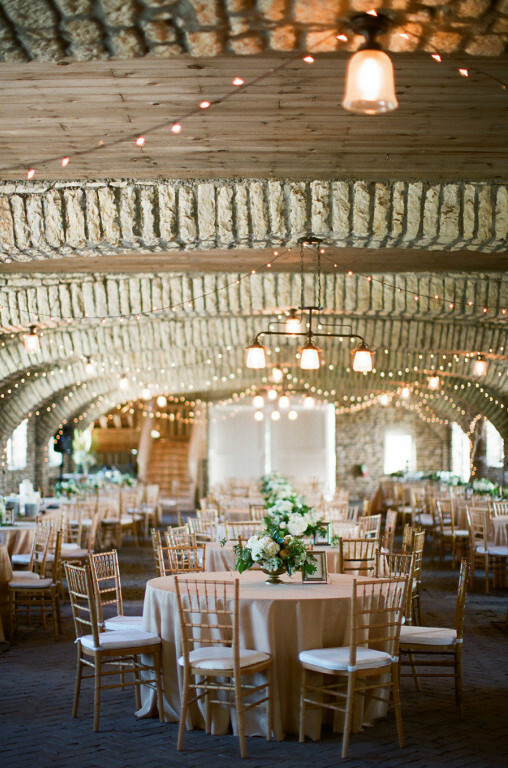 The Loft floors also boast memories of past barn dances the Mayos had. 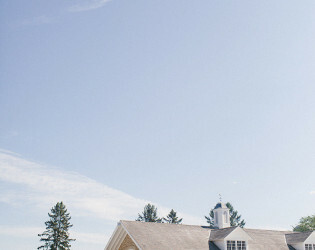 The floors were painted for carnival games and still show remnants of a cakewalk circle and a "shape version" of shuffle board. 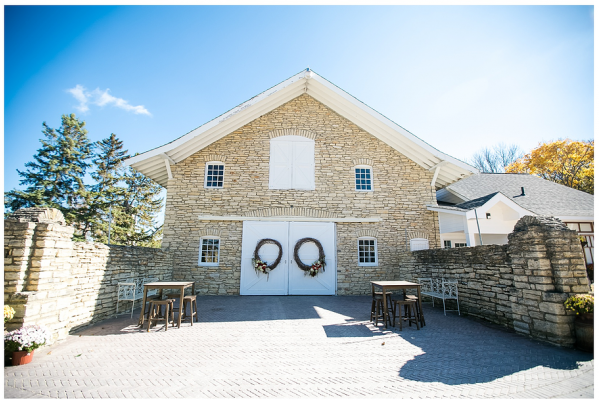 Our equestrian-style limestone barns are tucked away in southeast Rochester making it feel like you are in the country without even having to leave the city. 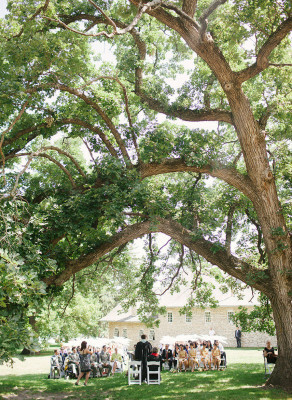 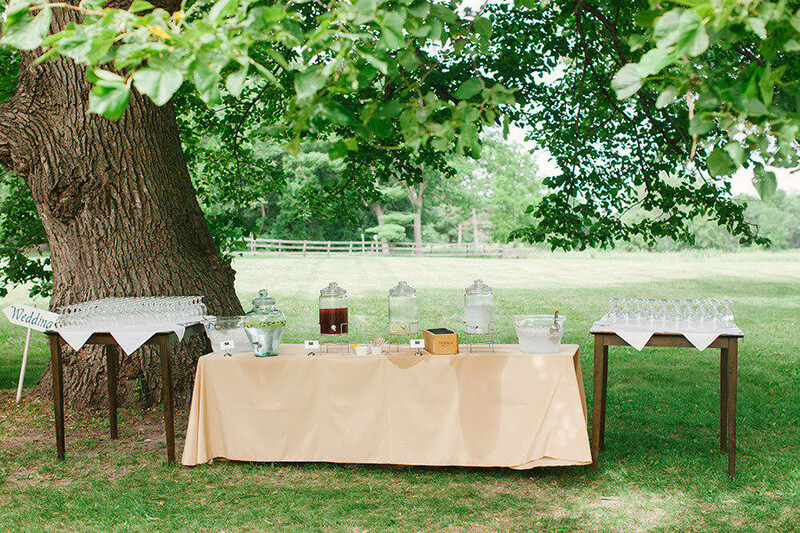 Centuries-old bur oaks and giant pines grace the landscape, providing shade for an outdoor ceremony and social hour. The loft is chapel-like with the high ceilings and pews. 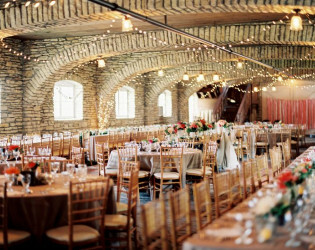 The history and craftsmanship is evident when you enter the main barn and see the stone arches that impressively span the space. 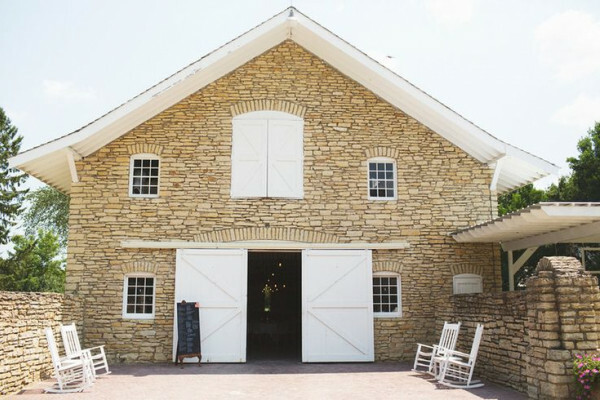 Our barn has the original stacked limestone walls and many windows to let in plenty of light. 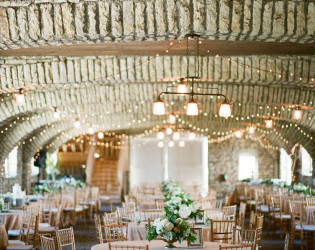 Edison bulbs and string lights help create ambiance inside the barn. 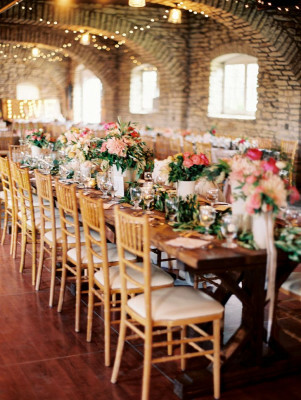 We also have additional rustic and vintage decor and furniture available for rent. 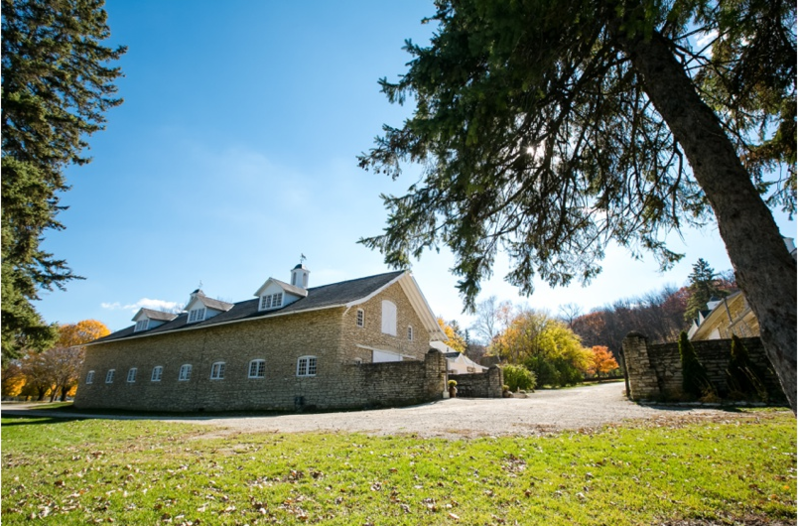 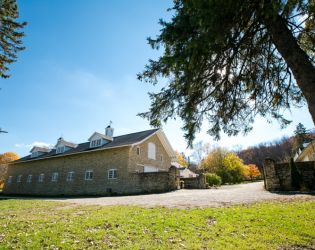 By reserving the Mayowood Stone Barn, you are renting the entire property for the day. Access at 8:00am ensures plenty of time to set up and get ready on site. 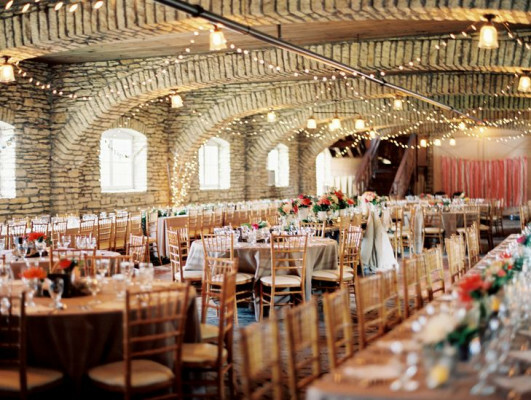 Early spring and late fall events can take advantage of our beautiful Loft for a wedding ceremony or dance. 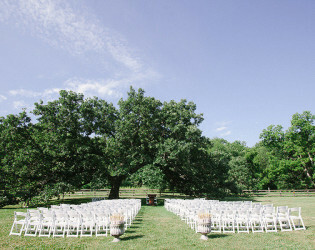 Natural Wooden Chiavari Chairs (standard rental includes up to 250), white deluxe folding chairs, Banquet and Round tables, 10 cocktail tables, 3 sound systems; one on the main floor, one in the Loft and an outdoor portable system.